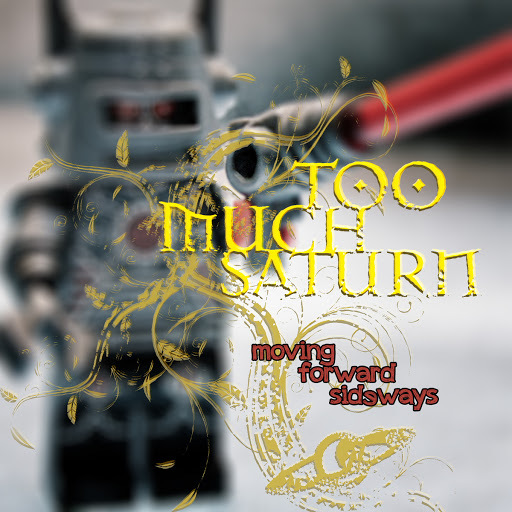 Song of the day: Too Much Saturn – "Walter Cronkite"
This time it’s Moving Forward Sideways, an album by Too Much Saturn. I mean it has eight songs on it. Here comes a hopefully short series of comments on the contents of an album called Moving Forward Sideways. At 0:13 the band starts playing, and it sounds to me like a garage band. At 0:25 Mark starts singing. I’m afraid I’m not enjoying the singing. Although I’m not responding very enthusiastically to the song so far, I do like how it sounds like the band is playing live in the studio. 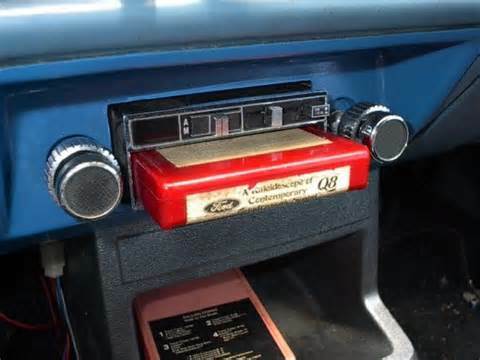 That makes a nice change from a lot of recordings nowadays that sound sterile, where everything is Pro-Tooled to perfection. I liked the “Bony Moronie” riff in the verse, from 0:41-0:45. I’ve heard singers in bands say “Here we go!” in a few songs. My question is this: Just where are the band going? As far as I can tell, when they make that statement they’re in a recording studio (or on stage, if it’s a live recording), so I’m guessing they’d be fairly limited in where they can actually go. All in all, I thought “Photogenic” was a suitable way to open the album. It was bright ‘n’ breezy, and full of energy. It just didn’t appeal to me very much. I prefer this song. And it reminds me of something. From 0:15-0:18 there’s that tremolo sound again. I think the guitarist likes tremolo. I have a production question for the band: what is that quiet, buzzing sound in the background of the verses? Is that a distorted guitar you forgot to remove from the mix? The chorus begins with the line “When it’s all his way…”, sung by someone who isn’t Mark. I noticed the difference immediately because the other singer sounds like Morrissey, whereas Mark emphatically does not. I also liked how the song ended dreamily (3:20-3:41). “I Must Be Summer“! That’s what “All His Way” reminds of. I really need to keep these comments for each song shorter. I didn’t see the point of applying sound effects to spoken-word introduction for this song (“Direct from our news room in New York”) – unless it was give the song a psychedelic feeling. The rest of the song isn’t particularly psychedelic, so I’m a bit puzzled. I think the 12-string bass is way too quiet in the mix. With such a unique sound (that I love), I’d advise all 12-sting bass owners to insist on having your instrument turned up in the mix as much as you can get away with. As I’m listening to “Walter Cronkite” I’m enjoying it more than the first two songs. However, while I’m listening to it I’m thinking it has an “unfinished” quality to it. I guess it’s just me wanting to hear more instruments and better production. I like the combination of the phased guitar in the left channel and the slide guitar in the right. It makes the song sound pleasantly slippery. I thought the synthesizer in the guitar solo (1:47-2:14) was too quiet. I reckon it was there to add a bit of colour during the solo, but because of its low volume I thought it was more of an annoying buzz than anything else. But I didn’t mind the song itself. I liked the guitar in the introduction, but I wasn’t overly fond of what came after it. There’s a synthesizer that pops up occasionally, but Chris, the band’s Tickler of the Ivories™, changed its sound, and it’s nowhere near as annoying as the one in the previous song. I liked the little Who-inspired section from 2:47-3:00, but thought it a little underpowered. I also liked the prog-rock riffing directly after the Who bit, from 3:00-3:14. And directly after that is a bit of a skinny-tie song (3:14-3:27) featuring a synthesizer solo. I’m not liking the song overall, but I am liking the variety in it. This is an old-school power pop song, from the early-’80s end of town. Considering all the songs I’ve heard on this album so far, I think this would probably the one most likely to get put on the radio. Oh, I just noticed that the bass player’s 12-string bass is in this song. I hadn’t heard it in this one until the rest of the band went quiet from 3:00-3:14. (Up until then I though I was just hearing a regular bass.) Hmm. Maybe the buzzsaw sound from the 12-string bass was the sound I heard earlier in that other track (“All His Way”). I like how the band ends the song, letting the drummer loose from 4:10-4:29. A nice tinkly start to the song. The melody in the chorus is reminding of something, but I don’t know what it is. Despite that, I’m enjoying this song for its melodies, chord progression, and structure. However, I’m not enjoying the singing very much, or the instrumentation, or the arrangement. I also wasn’t a huge fan of the (totally unnecessary) slap bass in the section from 1:55-2:21. Overall, I think this is a good song not well presented. But the tinkliness at the end was nice. I like this version. It took too long before Mark started singing, and the guitar chord chosen at 0:35-0:36 was unnerving, but I enjoyed it. I didn’t think it was a great version, but it was great hearing the song again. A Quibble for Mark: “Me shavin’ razor’s cold…” (). “Me”? I know the Monkees’ singer, Davey Jones, was from Manchester (England), and engaged in a bit of good old-fashioned English “Ere, Guvna…” or “Wot’s up, me darlin’…” with his accent, which sometimes spilled over into his recordings, such as when he sang “Me shavin’ razor’s cold…” in the original recording of “Daydream Believer”. But an American chap, in an American band, whose singing up until now has shown no trace of Englishness, suddenly drops a “Whoopsy daisy” English affectation in the form of “Me shavin’ razor’s cold”… Why, that’s just beyond the pale. Many apologies for that lengthy paragraph above. I may have gotten carried away there. Oh yeah. Too Much Saturn’s version of “Daydream Believer”. I think it’s OK. I also think it’s not possible for there to be a bad version of “Daydream Believer”. As far as I’m concerned, this song is indestructible. My favourite part of this version was the end section (3:22-3:58). There was nice interplay between the guitar and synthesizer, trading melodies. I liked that. Okey dokey. That was Too Much Saturn’s Moving Forward Sideways. I’m not in a position to say I thought it was fantastic (if I did, I’d be a lying toad). I thought it was alright. But thanks anyways, guys, for letting me know about the album. If you hadn’t, this post wouldn’t have existed. You are currently browsing the archives for the Too Much Saturn category.